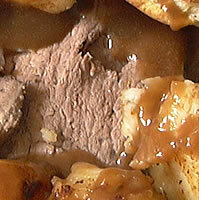 Instructions for making a traditional British Sunday lunch: roast beef with Yorkshire pudding, roast poatatoes, vegetables and gravy. 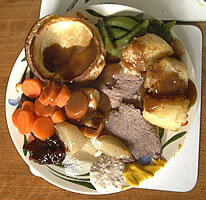 Other popular roast lunches are pork, lamb, chicken and turkey (especially at Christmas time). 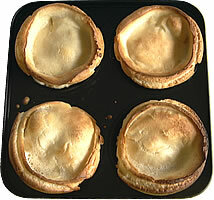 Place meat and onions (cut into quarters) in a roasting tin. Pour some cooking oil over the onions. 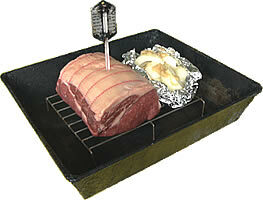 Use a skewer to make a hole in the meat and add an oven thermometer (if you have one). 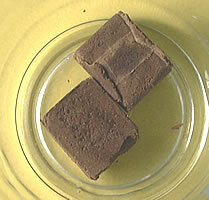 Cover with foil and place in a pre-heated oven at 350F (180C). The low temperature helps the meat to keep its flavour. 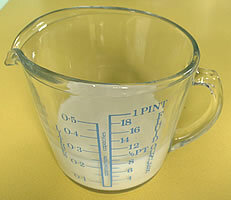 The cooking time is about 20 minutes per pound of meat (1 pound is about 450 grams), plus another 20 minutes. 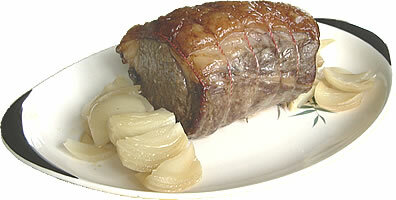 For the 3-pound meat shown, the cooking time is 1 hour 20 minutes (= 3 x 20 minutes + 20 minutes). 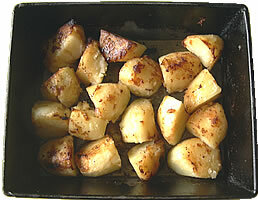 Peel potatoes, cut, add to a pan with water and part-boil for about 10 minutes. Drain away the water. Heat a little oil or fat in a roasting tin in an oven. When hot, put the potatoes into the tin. Turn the potatoes until they are covered in oil or fat. 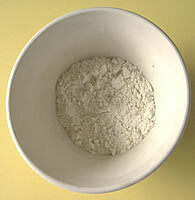 Cook in an oven at a temperature of 400F (200C) for about 20 minutes (until brown at the edges). Other vegetables to be served with the meal should be cooked at the same time. 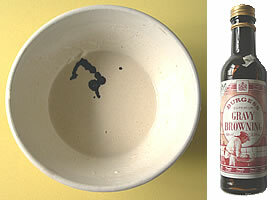 About 10 minutes before serving the meal, add a little oil to the bottom of a pre-heated metal tray (preferable a special Yorkshire pudding tray, but a rectangular tin can also be used). 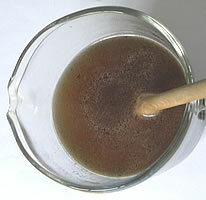 Spoon or pour the mixture you have made into the tray and cook for about 10 minutes until the Yorkshire pudding has risen and become brown at the edges. 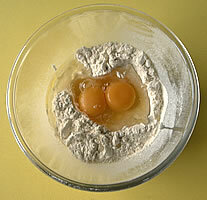 Add some water to the flour. 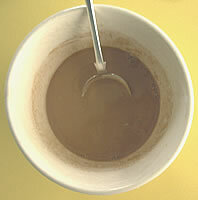 Pour into mixture and stir. 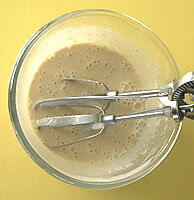 Traditional accompaniments for roast beef are horseradish sauce and/or mustard. 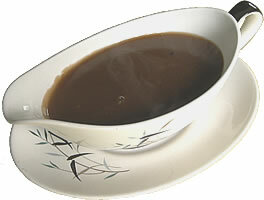 For roast lamb, people add redcurrant jelly and/or mint sauce. For pork, people add apple sauce, and for turkey they add cranberry sauce. 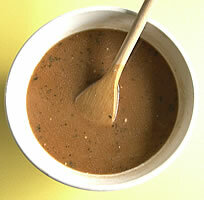 Most people like to pour gravy over the meal to add extra flavour. 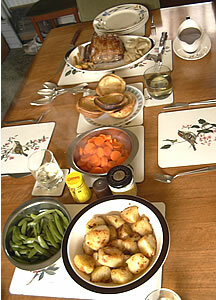 A roast meal is traditionally served at home around a dining room table. As well as roast potatoes and Yorkshire pudding, two vegetables are often served with the meal (for example: carrots, peas, green beans or sprouts).